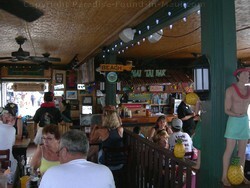 Cheeseburger in Paradise, Maui, is the place to go if you want a fun, funky atmosphere, and of course, the reason you came here, the fabulous burgers! 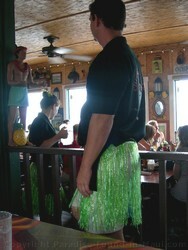 The decor is fun and colourful, and the appearance of the servers only adds to the fun vibe - all of the servers wear colourful grass hula skirts, even the men! All of the seats have either a killer ocean view, or a front-row seat to the action on Front Street. This place is one of the perfect restaurants in Lahaina to go to if, like us, you're starving hungry after a morning of sightseeing. Their hefty cheeseburgers are sure to fuel you up for the afternoon! The cheeseburger selection here is fantastic - there are ones with classic toppings like cheddar cheese and bacon, onion, and lettuce. Or, you can be more adventurous and try something you'd never get back home. I was feeling adventurous, so I ordered the Kobe Cheeseburger with blue cheese, grilled pineapple, mushrooms and bacon. It came with thousand island dressing, their signature seasoned fries, and cute little paper umbrella to hold it all together! It was honestly the best cheeseburger I've ever, EVER had. Delicious! My husband, Paul, went with a classic bacon cheeseburger which he seemed to thoroughly enjoy. My mother-in-law had a mouthwatering BBQ Bacon Cheeseburger: their juicy kobe beef pattie, cheese, 3 slices of bacon, topped off with one of their "world famous" onion rings and soaked with BBQ sauce! Other mouthwatering choices on the menu that day included the Mushroom Swiss Cheeseburger, the Guacamole Cheeseburger, the Royal Ali'i Cheeseburger (a cheeseburger topped with a fried egg and bacon!) and the Cheeseburger Island Style (a juicy cheeseburger topped with fresh grilled pineapple and teriyaki sauce). You can also have a custom cheeseburger with your choice of toppings, bacon, avocado, mushrooms, guacamole, banana peppers, jalapenos, fried egg and grilled pineapple, plus, a choice of 3 cheeses (colby jack, swiss or blue cheese). This is a fairly economical place to eat, with their cheeseburgers starting at only $10. The most expensive cheeseburger is $17.99, and you get to choose any 3 toppings of your choice, plus a choice of 3 cheeses, PLUS, it comes with their yummy seasoned fries. 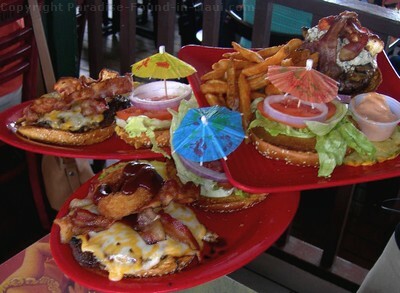 If you're not in the mood for a cheeseburger, they also serve delicious alternatives such as Polynesian Coconut Shrimp with Mango Chutney, Chicken Tenders or Wings, Maui Potstickers, Onion Rings, Chile Cheese Fries, plus a selection of "Sensational Salads," sandwiches, hot dogs and "Fantastic Fish!" Thirsty? They can help with that too! In addition to the customary assortment of non-alcoholic beverages, they've got a nice selection of tropical cocktails. They even serve up a vodka "Hawaiian Sunburn" that is claimed to cure the pain of even the very worst of sunburns! The prices given were based on early 2012 pricing. 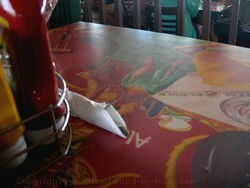 As with all restaurants in Lahaina and elsewhere on Maui, prices may change at any time. 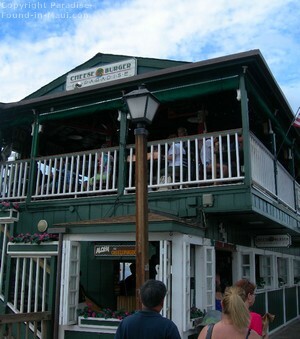 This is one of the easiest restaurants in Lahaina to find: they are located along the ocean at 811 Front Street, where it intersects with Lahainaluna Ave. You won't be able to miss it if you're strolling down Front Street! 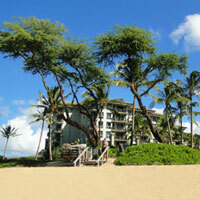 For hours of operation, you can contact them at (808)-661-4855. 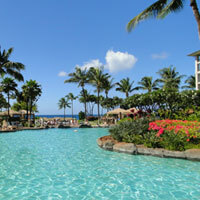 1) More Maui restaurants in Lahaina that won't break your budget! 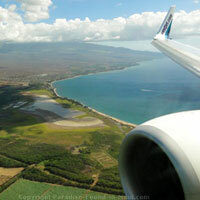 3) More on Lahaina Maui: Things to See and Do, Where to Dine and More!